Learn about our Accelerated Undergraduate & Graduate Education Degrees at all our locations. Find out how our Accelerated Undergraduate Degrees (Accelerated) with Lancaster Bible College or graduate/seminary programs through LBC’s Capital Seminary & Graduate School can help you take the next step on your educational or career path! We offer different types of events throughout the year and at different sites. Each event below is free and designed to give you, the potential student, the opportunity to become familiar with the location of your classes, meet the admissions team and program directors, receive answers to your academic questions or concerns, receive a personalized academic plan to meet your educational goals, and direction on how to finance it all. Experience LBC | Capital – Washington DC, held 8:30 – 11:30 a.m.
Come and meet us! Just click on the register button under the site where you want to attend and complete the registration form. Event registration is encouraged so that we can have personalized materials ready for you, but you’re always welcome to drop in on the day of the event. Our accelerated undergraduate degrees are designed to meet the needs of busy adult learners. 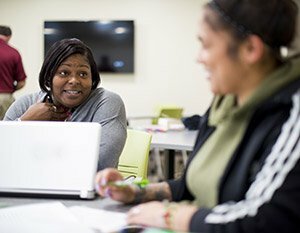 The short-term format allows you to concentrate on one course at a time, over a 6- or 7-weeks in order to complete a bachelor’s degree, associate’s degree, or certificate from Lancaster Bible College. Accelerate classes are offered at our Lancaster, PA; Washington DC; and Philadelphia, PA sites. Through Capital Seminary and Graduate School, the graduate division of Lancaster Bible College, students can earn their master’s or doctoral degree. Capital offers 3 doctoral degrees, 7 master’s degrees, and 6 graduate certificates. Degree programs are designed to blend online and onsite teaching and learning for the digital age. Our two primary sites for graduate education are Lancaster, PA and Washington, DC.